It is 1725, and a young man who has been terribly injured in an accident is taken in and cared for by a decent but impoverished farming family. 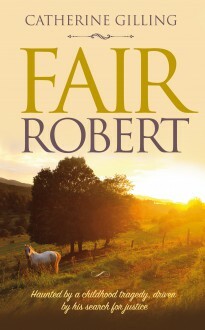 After Robert Sutton has recovered sufficiently to return to his work as a Government courier, he discovers that this family has suffered a terrible injustice, and is determined to find out why and seek redress and compensation for them in return for their kindness. Along the way he manages to make an enemy of a ruthless and powerful aristocrat, and while he searches for the peace and love which has so eluded him since childhood, he finds himself locked in a fight for personal survival. An intricately-woven tale of suspense, intrigue and love set in rural Georgian England.